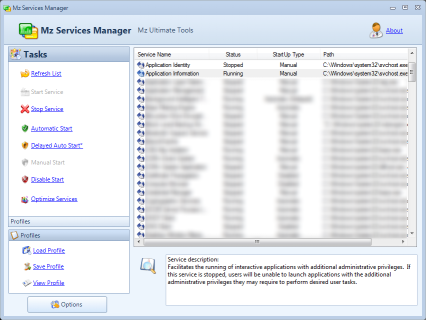 Mz Services Manager is a small, simple, easy-to-use application, designed to help you take control of Windows services. Create Windows services profiles based on on what is suitable for you and load them whenever you decide. Finally, you can choose to perform an automatic tune-up to increase PC performance.